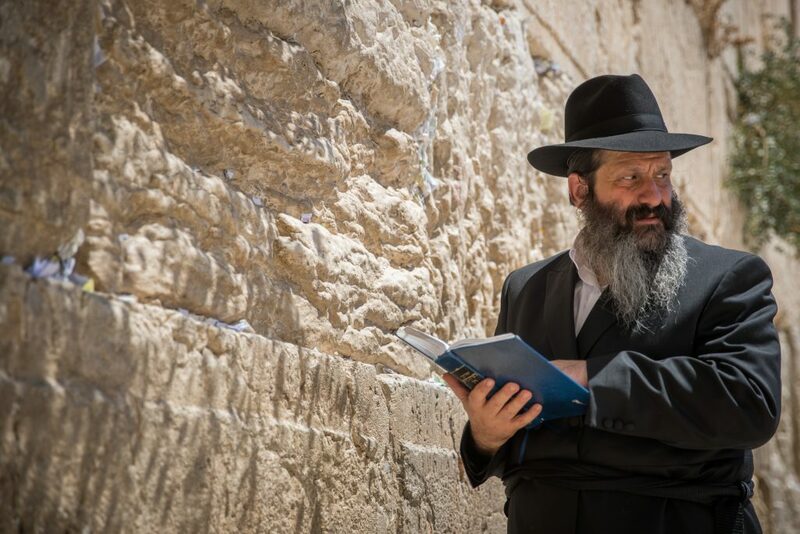 Reb Sholom Mordechai Rubashkin, who was released in December after President Donald Trump issued a commutation of his 27-year sentence and serving eight years in prison, traveled last week to Israel, after his travel restriction was removed. 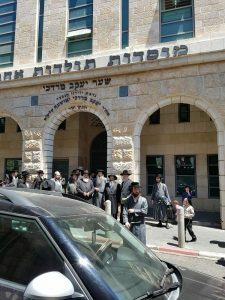 Reb Sholom Mordechai, a man who became an exemplar of achdus and a repository of hope and faith for so many, both during the years spent in jail and more so in the last few months, was greeted warmly by the many Jews who met him in Yerushalayim, with joyous celebration and expressions of gratitude to Hashem for enabling his release. 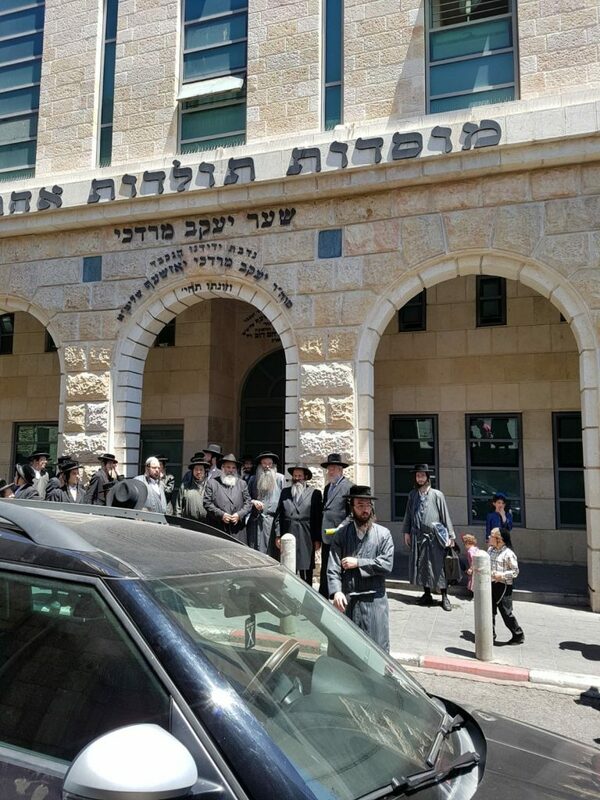 Reb Sholom Mordechai leaves the Toldos Aharon beis medrash, after a visit with the Rebbe, shlita, Friday. 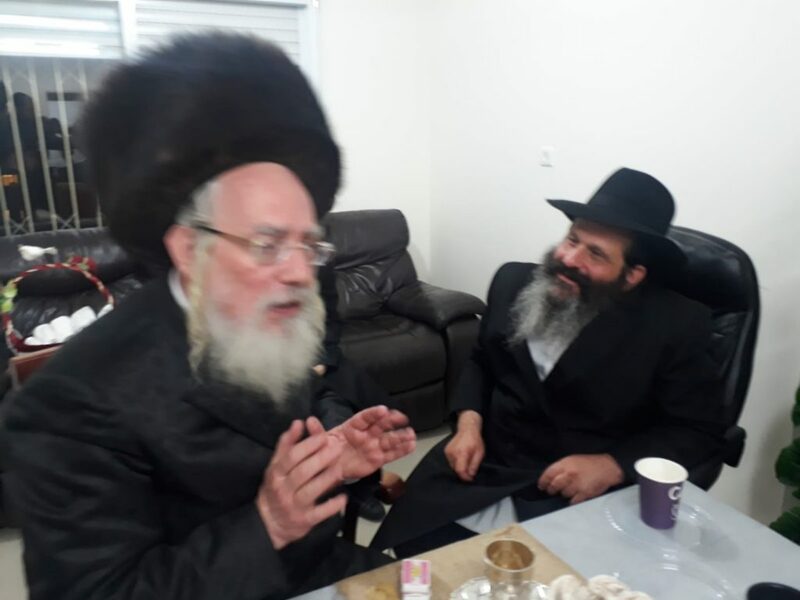 On Motzoei Shabbos, Reb Sholom Mordechai paid a visit to the home of MK Rabbi Yisrael Eichler (UTJ) to thank him for his speech in the Knesset on his behalf. During Vice President Mike Pence’s visit to Israel, Rabbi Eichler mentioned Rubashkin’s imprisonment and the fact that he had been sentenced to 27 years for an economic crime. Rabbi Eichler also explained the anti-Semitic bias which had been clearly present throughout Rubashkin’s trial, and thanked Vice President Pence and President Donald Trump for freeing Rubashkin early. Reb Sholom Mordechai with MK Rabbi Yisrael Eichler on Motzoei Shabbos. On a trip to New York several months ago, Rabbi Eichler met Rubashkin. “When you visited me in New York after I was freed, and you blessed me that we should see each other in Eretz Yisrael, I thought it would take another few years. And here I am, in Yerushalayim, less than six months later,” said Reb Sholom Mordechai. “No non-Jew would have received more than two years for the crimes you were charged with,” said Rabbi Eichler. “The entire U.S. legal system rejected every appeal in the case.